Here is Some Information about Dattatreya Temple in Ganganapur Maharashtra India. Built in: The Maratha model of 'Nagarkhana'. Dattatreya Temple is located at Ganganapur, Maharashtra.Dattatreya temple is located at a very short distance of 1km from Murud. 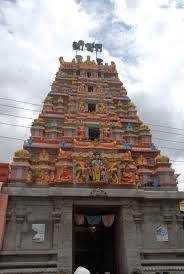 The temple is situated at the hill top and the idol has three heads of the Trinity Hindu gods: Brahma, Vishnu and Maheshwara.The Temple is dedicated to Lord Dattatreya. The shrine at Ganganapur is in the process of assuming the form of a temple. It is currently more like an 'Ashram'. The main gate faces towards the west and is built in the Maratha model of 'Nagarkhana'. A spacious mandap is provided for the gathering. There is a raised platform - the 'holy of holies' in the southern side of the hall. 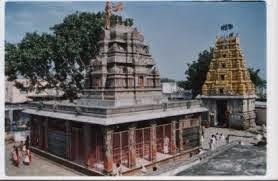 Dattatreya Temple has a very small room divided into two by a wall. There are two doors, and in the inner portion, there are the images of Dattatreya and the 'Nirguna padukas'- a pair of sandals. There is a very small opening in the wall in the form a silver-plate framework, which allows pilgrims to have a glimpse of the image. Some feet away is a door in the dividing curtain, where inside the sanctuary are the Padukas. 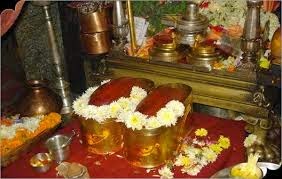 It is these Padukas that are the object of worship at this place. It is a symbol of the constant and eternal presence of Dattatreya in his form as Nrisimha Sarasvati. During the month of Magba is the most popular, the purpose of the utsava being the -punya-smarana’ of the Guru, Shri Nrisimha Sarasvati. It was on the first day of the month that Shai Guru brought to an end his existence in this world, and it is his death anniversary that is celebrated during the four days. The other important festivals are Shripad Shrivallabha, Datta-jayanti and Nrisimha-jayanti. By Road: From this road of Ganagapur to Ganagapur City (town), where Datta Mandir is situated is around 30 minutes journey by road. Trax/Jeep/Sumo drivers charge Rs 15 per Passanger It takes around 2 hours maximum for a family to perform Pooja/Abhishek at Ganagapur. By Rail: The Neaarest Railway station is Indapur Junction. By Air: The Nearest Airport is Mumbai.